As your local Rothwell Labour team we would like to know what you would like to see in Rothwell town centre and also in smaller shopping areas local to you. We’d like to know what you like best, what needs improving and what great ideas you have to help us to give Rothwell town centre the boost it deserves. Our online survey takes one minute to do, we would very much value your opinions to help us to improve our town centre. Myself, Cllr David Nagle and Rothwell campaigner Angela Kellett also have a paper survey which we’re asking people to sign in Rothwell town centre. We’ve taken our petition to community events like the Rothwell Christmas Fair and will be collecting signatures again this Saturday in Rothwell. Our stall at the Christmas Fair was a great success and it was great to get so many people keen to give their opinions on the town centre and to have a chat with lots of people about local issues. We’re hopeful that even more people will want to take part in our survey which will be vital when discussing town centre issues in the future. 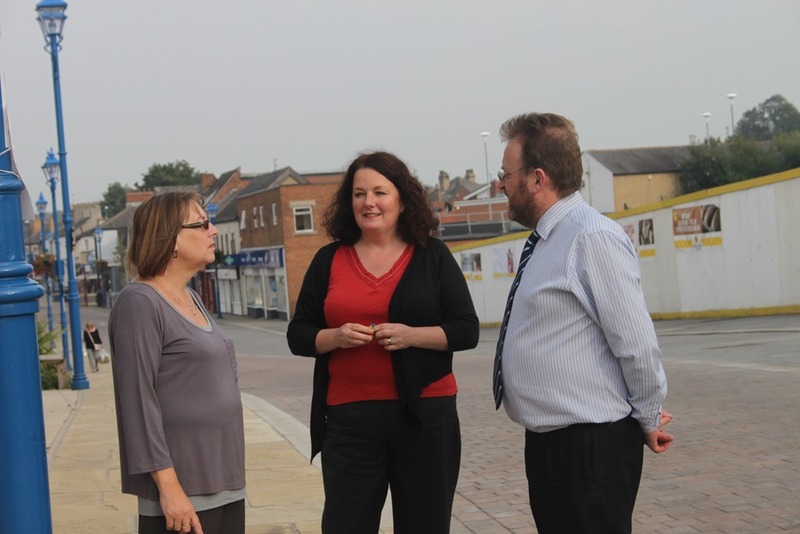 It’s important to get both shoppers and traders views and Rothwell Labour’s Angela Kellett has visited all the businesses on and around Commercial Street to gauge their views too! We think the town centre is really important to local people and we want to see it thrive even more! To take the Rothwell Labour town centre survey please visit: https://www.surveymonkey.com/s/G32KYBM. This entry was posted in Campaigning, Environment, Labour Party, Rothwell by Karen Bruce. Bookmark the permalink.